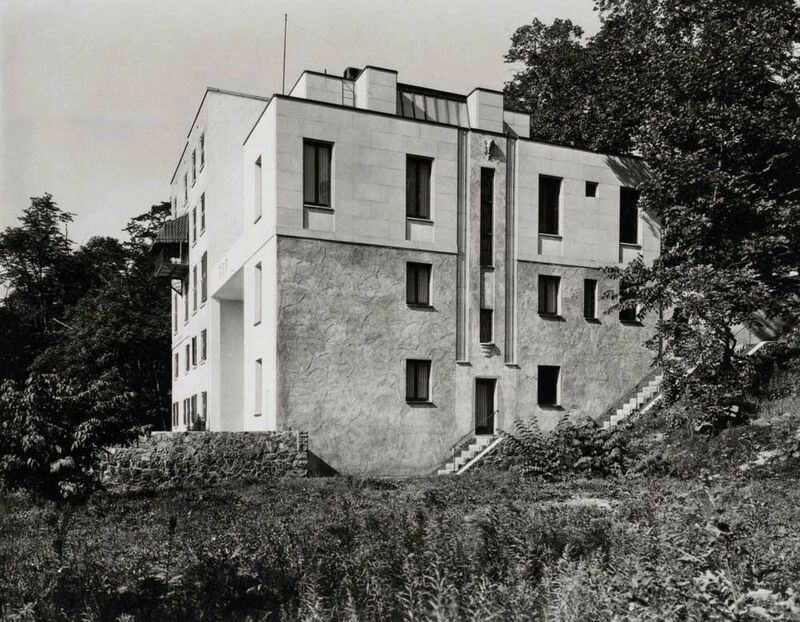 Came across this house in a news story the other day, and it caught my interest not only for its Art Deco styling, but moreover for the fact that the current Prime Minister of Canada grew up in that house (!). There’s a lot of interesting bits to this house. Let’s start with the art deco styling, for it is a very nice example of said styling. There’s a good balance between the near-featurelenssness of the blank walls (I say near-featureless, for the oversized blocks themselves become sculptural, and the elaborate articulation around the corners does likewise) and the, well, art: the statue nearly hidden above the door, the frieze above the window, and the planter box that rests below. Those big blocks aren’t just treated as building materials either – everything is built up on a modulus by those blocks. Check out how each element fits within or between the joints, including the mullions of the very grand window. 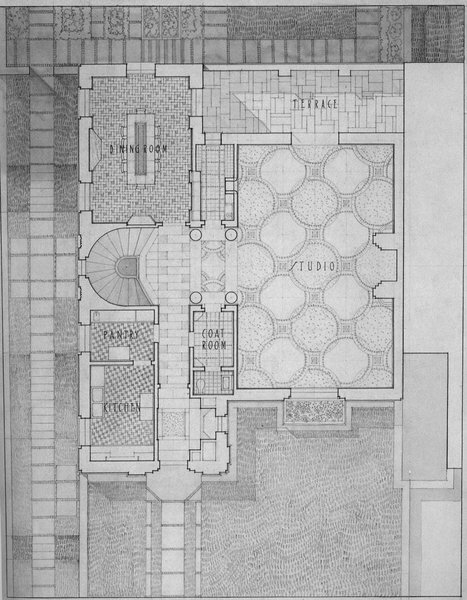 Overall the proportions are very fine, creating a rhythm and unity between not only the two prominent boxes that make up the front of the house, but also the relationship from body (the door) to entryway to great hall (5/3 and 13/8 – roughly the same, and close to the Fibonacci sequence). And the small copper flashing that caps the facade rounds out the composition in just the right way. It’s quiet yet striking at the same time. At the back, things get interesting. The terrain drops steeply away, and so the staircase inside leads down, rather than up, to the rest of the house. It was also built directly pressing against an existing building, happily coexisting and creating its own flair in a way that isn’t diminished by, or diminishes, what was already there. It doesn’t need a giant estate or tall fences to be a mighty fine building. Lovely. 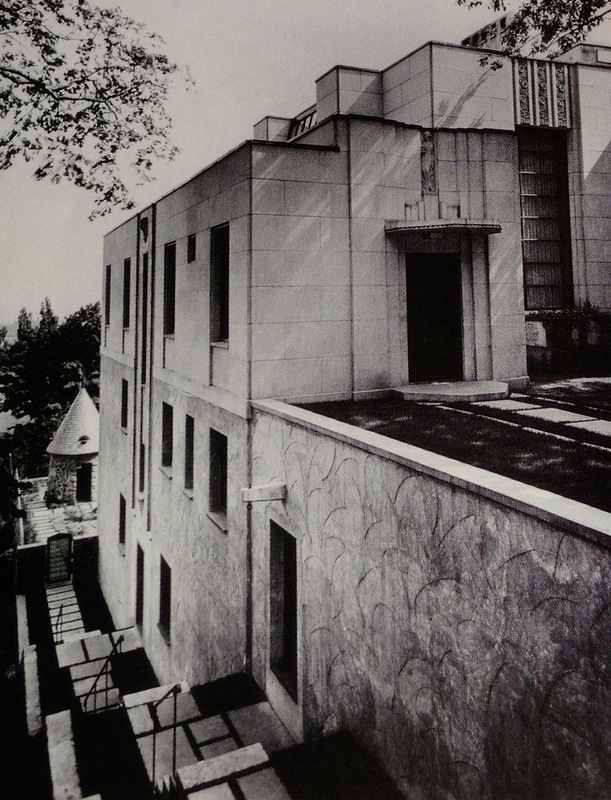 Designed by architect Ernest Cormier as his own residence, later bought by then Prime Minister Pierre Elliott Trudeau.